The ongoing Facebook and Cambridge Analytica scandal has revealed just how vulnerable our social-media data are to exploitation. Marketers, political groups and shadowy third parties can now harvest our information, divide us into homogenous groups and send targeted messages in ways that are far beyond anything imagined even a decade ago. Many articles have summarised the events, participants and actions – in particular the unethical ones. 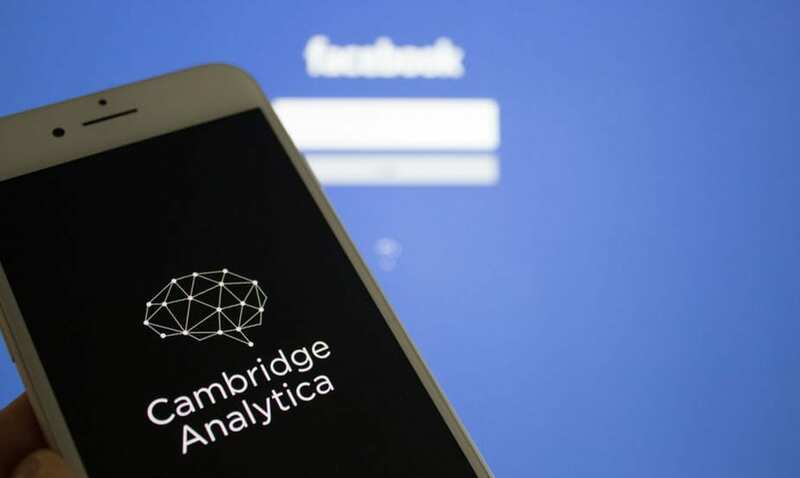 However, our attention was drawn to the fact that there is currently little empirical evidence of the actual effectiveness or impact of the psychographic analytical tools used by Cambridge Analytica (CA). This is surprising, considering that the method has been asserted to be the “ultimate marketing weapon”. This articles stems from our experience and exchanges with scholars in consumer and marketing research, who are perhaps most familiar with the development of market research and segmentation methods and practice over time. The psychographic-segmentation tool employed by Cambridge Analytica extends the traditional marketing audience or voter analysis beyond simple “demographics” (age, gender, education) toward profiling based on personality traits and value-based scores. Combined with “big data” from Facebook profiles and algorithmically enhanced statistical analysis and stealth marketing tactics, this method has arguably become an enviable digital marketing secret, not least among advertising and marketing professionals. While much of the public discussion on the CA case has been about how massive amounts of Facebook data have been unethically obtained and used for the purpose of influencing voter behaviour in the US elections and the Brexit, relatively little has been said on the exact analytical method used by the firm and the extent of its contribution to the voting results. According to a detailed account by Michael Wade of IMD Business School, Cambridge Analytica was able to identify the profiles of more than 50 million Facebook users by matching two different approaches and data sources. First, the results of 270,000 personality tests obtained through a quiz-like Facebook app developed by Cambridge professor Aleksandr Kogan. Second, the results were statistically related to “digital footprints of human behaviour” of these respondents and their (unaware) Facebook friends’ profiles, thanks to a model developed by another Cambridge academic, Michal Kosinski. As a result, psychographic information about millions of people were automatically derived from Facebook data, without the usually burdensome process of personality questionnaires that take hundreds of questions to answer by each analysed participant. This sort of “reverse engineering” (as Wade calls it) based on social media users’ activity means that only about 100 Facebook “likes” are enough to estimate a person’s psychological traits. Information such as liking, say, Salvador Dalì or Lady Gaga would serve as an indicator of a personality type – for example, openness. The machine-learning implementation and more detailed analytical procedure is summarised in video featuring Jack Hansom from SCL elections, company affiliated to Cambridge Analytica. Some have claimed that using Facebook likes as psychometric indicators can produce “terrifyingly accurate personality analysis”, yet this method has significant methodological limits. For example, liking a Facebook page is not an individual action performed in isolation, like the systematically filling out a questionnaire. Instead, it is an inherently social and symbolic act – and needs to be interpreted in the context of the platform and its uses. Considering the accuracy of CA’s predictions, two other points need to be critically considered. First, if psychographic analysis is relevant at all for deriving marketing insights. Second, whether micro-targeted advertising content via psychographic techniques really has the capacity to manipulate people’s minds. A weapon from the past? In marketing and consumer research, market-segmentation techniques have grown out of the fact that it is simply not effective, nor even feasible, for a marketer to try to influence everyone at once with the same message. Therefore, the targeting of a specific subgroup – one that would be more likely to react in a desired manner to the intended marketing message – becomes the practice and theory of marketing communication. However, the logic for choosing effective segmentation and targeting criteria has changed importantly over the years, not least due to technological changes and possibilities. Despite the work of theorists in the early 20th century – for example, Thorsten Veblen and Max Weber, who recognised that consumption behaviour is closely tied with social structures (and vice versa) – the marketing scholars and practitioners in the post–World War II mass-media era have relied heavily on individualist and behavioural psychological paradigm. It is fair to say this has been the golden age of psychographic market segmentation in which target group has been profiled and expressed in terms of their personality traits or value system scores (for example, the VALS system). However, the personality/value-based measurement has consistently been challenged for its ability to predict actual behaviours, such as a specific product, brand or environmental choice (Wedel and Kamakura 2000 and Rokka and Uusitalo 2008). Moreover, these approaches assume that behavioural patterns are shaped by differences in “global” psychological states or values (openness, conscientiousness, extraversion, agreeableness and neuroticism) that are thus “necessarily devoid of any influence of sociohistorical context” (Holt 1997, 327). Put differently, an abstracted and universalised personality type cannot capture the complexity and cultural sensitivity of consumer lifestyle choices, symbolic expression and tastes. This shift in thinking put an end to wider application of psychographic methods long ago, at least in the field of marketing and consumer research. Instead, four decades of work have testified to the importance of sociocultural perspectives that are much more sensitive to the social and symbolic systems that shape our lifestyle-relevant choices and tastes (Arnould and Thompson 2005 and Holt 1997). This perspective is also shared by researchers in the Lifestyle Research Centre of EM Lyon. An analysis of Facebook likes from this standpoint would be understood more as the analysis of individuals’ lifestyle associations and networks governed by socially established expressions of taste. Main difference of the psychographic segmentation to this form of socio-cultural lifestyle analysis would be its lack of connection to society and its cultural currents. A second issue evoked in the Cambridge Analytica debate is the supposed manipulative power of big data–based psychographic approaches that bear rather naïve assumptions about how communication and advertising work. In the 1930s – the heyday of totalitarian propaganda – the dominant theory for the effects of mass media on a population posited that political messages were “magic bullets” that, once they reached the targeted audience, would have immediate persuasive power. This simplistic view was rejected a decade later by Paul Lazarsfeld and colleagues at Columbia University. Their empirical work relativised the power of political propaganda, demonstrating that message effects are largely mediated by interpersonal relations and collective interpretations – for instance, political views are also discussed and formed during family dinners and not simply absorbed from the media (Neuman and Guggheneim 2011). Similar considerations also resonate widely in advertising and marketing research. For example, there exists a body of academic literature that indicates that, based on empirical evidence, advertising does not increase or reduce alcohol consumption (Tikkanen and Aspara 2017). With the rise of big data–based psychographic segmentation, however, the old “magic bullet” thesis has apparently gained new popularity. Cambridge Analytica’s bragging of “psychological warfare” stands as a case in point. We cannot argue there is no value in, nor evidence of, the ability of psychometric segmentation to achieve marketing goals – indeed, a recent study found a 40% increase in some click-through rates. However, there is still little or no evidence of the extent to which it can persuade people to change their minds about even product or brand choices – much less vote differently.